Russia holds a special place in the story of Berlioz’s musical travels outside France. Berlioz only made two trips there, the first in 1847, several years after he had already made two extensive tours of Germany (in 1842-3) and central Europe (in 1845-6), and the second twenty years later in 1867-8 at the very end of his active career. Yet both trips were of great significance, partly for Berlioz himself at critical stages in his career, and partly for the stimulus he provided indirectly for the remarkable development of Russian music in the latter part of the 19th century. For historical as well as geographical reasons Russian music had been slower to establish its identity than was the case with Italy, Germany and France. Berlioz’s contemporary Mikhail Glinka (1804-1857) was, if not the first Russian composer to speak with his own voice, but at least the first major figure of note on the Russian musical scene. From the late 1850s a circle of young Russian composers led by Balakirev began to follow in his footsteps. One element that Glinka and his successors all shared in common was a wholehearted admiration for Berlioz’s music (as well as for that of Liszt and Schumann), and it was thus in Russia that Berlioz’s long-term influence was perhaps most directly felt. It so happens that Berlioz did come into contact with Russian musicians early in his career. While on his trip to Italy in 1831 he met in Rome Glinka as well as the tenor Nikolai Ivanov, who had arrived in Italy in May 1830; they stayed at first in Milan, then in September 1831 moved to Rome where the meeting with Berlioz took place. Glinka was to remain in Italy until August 1833. Glinka and Ivanov were not the first Russian musicians to travel to Italy. Ever since Russia had started to open up to western influences in the 18th century under Peter the Great (1721-1725) and Catherine the Great (1762-1796), Russian musicians had looked to western Europe for models, at first Italy, then later France and Germany as well. Dimitri Bortniansky (1751-1825), who was to become director of the imperial chapel in St Petersburg, and whose choral music Berlioz later came to admire, had himself spent ten years of study in Italy. But in the case of Glinka the stay in Italy had an unexpected effect: it convinced Glinka that his future as a composer lay not in following Italian models but in seeking to find an authentic Russian voice. Berlioz’s encounter with these Russian musicians in 1831 seems to have had no immediate effect, and left no trace in his writings apart from a reference to the meeting in an article on Glinka he published in the Journal des Débats in 1845 (see below). Comparison with Berlioz’s much more fully documented meeting with Mendelssohn in Rome at the same time is instructive: the impression Mendelssohn made on Berlioz was immediate and lasting. In 1831 Glinka had not yet written any of his major works, and on his side he was in no position to form a view of Berlioz’s potential as a composer. To judge from the apparent of absence of references to Russia in any of his critical writings throughout the 1830s, Berlioz did not at the time devote to Russia the same kind of attention as he was giving to musical life in the German-speaking world and in England. Russia was far away, conditions of travel at the time were arduous before the development of railways later in the century, and the ferocity of the Russian winter was an added deterrent (Mozart, for example, never travelled to Russia). Berlioz’s travel plans during the 1830s were concentrated on the long-delayed project of visiting Germany, on which he only embarked towards the end of 1842. Two events were to change Berlioz’s attitude to Russia. The first was an unexpected and very successful performance of the complete Requiem in St Petersburg in May 1841. Since the mid-1830s Russian musicians, alert to developments in western Europe and attentive to reports in the French and German press, had been paying attention to Berlioz’s career. There were even journals published in French and German in St Petersburg, languages widely read in educated Russian circles at the time. When the full score of the Requiem appeared in Paris in 1838, the first major work of Berlioz to be published and thus made available for performance (the symphonies were published later), the Russians seized the opportunity. In 1841 the German violinist and conductor Heinrich Romberg (1802-1859) took the remarkable initiative of organising a complete performance of the Requiem in St Petersburg; it required two months of preparations and was the first performance of the work since its première in Paris on 5 December 1837. It appears that Berlioz was unaware of the performance until after it had taken place. Romberg evidently enjoyed the support and financial backing of the wealthy Russian aristocracy. The performance was a considerable success both artistically and financially; a very complimentary report from a correspondent on the spot appeared in the Gazette Musicale in Paris and excerpts from it were reproduced in the Journal des Débats on 19 July 1841. It is not known whether Berlioz, a regular contributor to the paper for a number of years, prompted the publication of this article, but he mentioned the report to his family and friends and made enquiries of his own about the occasion (CG nos. 751bis, 755). Russia (or more exactly St Petersburg, the imperial capital and the centre of artistic activity) was interested in his music, and what is more, music-making there could be financially rewarding. At a stroke new possibilities opened up and Berlioz was encouraged to turn his thoughts to Russia. In his feuilleton in the Journal des Débats of 18 December 1841 he mentioned St Petersburg, apparently for the first time, as a regular destination for opera singers like other European cities, and in the same article announced Liszt’s arrival in Russia on his first tour there (prematurely, as it turned out, since Liszt only arrived in St Petersburg in April 1842 where he made a great impression: CM IV pp. 597, 601; cf. CG no. 1108). In September 1842 while completing his Treatise on Orchestration Berlioz approached a publisher in St Petersburg in the hope of selling him the rights for Russia (CG no. 775); nothing apparently came of this, though the work was widely read in Russia later and became influential (cf. CG nos. 1111, 2676). 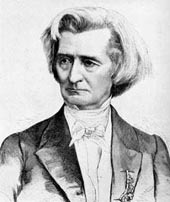 The following year, in the course of his travels in Germany, Berlioz evidently made enquiries about the Russian musical scene: it was during his stay in Berlin that he first heard of General Lvov, the director of the Russian imperial chapel, and a composer and musician with whom he was to become close later (Journal des Débats, 16 April 1845). His experiences conducting movements from the Requiem in Berlin also brought back to his mind the performance of the work given by Romberg in St Petersburg two years earlier (Memoirs, Travels to Germany I, Letter 9). Berlioz may well also have had reports from Liszt about the great success of his own visits to Russia in 1842 and 1843. Thus on his return from his first trip to Germany Berlioz was thinking seriously of Russia as his next destination (cf. CG no. 847). The second event that changed Berlioz’s attitude to Russia was his meeting with Glinka the following year (June 1844), their first since their encounter in 1831; Glinka stayed in Paris for nearly a year, and he and Berlioz saw each other frequently in winter and spring 1844-1845. By this time both composers had travelled a long way. Glinka was now established as Russia’s leading composer, with two major operas to his credit, A Life for the Tsar (1836) and Ruslan and Ludmila (1842), the first of which had been an instant success, though Glinka was disappointed with the equivocal reception given to the second. Berlioz on his side had now completed among other works his four symphonies and the opera Benvenuto Cellini, as well as the Requiem. He was also an influential writer whose articles were widely read in musical Europe, and his recent tour of Germany in 1842-3, which he soon publicised in a series of ten open letters relating his experiences, further enhanced his growing international stature. During Glinka’s stay in Paris he and Berlioz had occasion to see each other frequently, and this time there was a meeting of minds such as had not happened at their first encounter many years earlier in Italy: both now declared a keen interest in each other’s music. Berlioz performed music by Glinka at two concerts in 1845 (16 March and 6 April) and followed this up with an article in the Journal des Débats (16 April; CM VI pp. 33-39) which extolled the merits of the Russian composer. Glinka on his side later passed on his enthusiasm for Berlioz to the next generation of Russian musicians (Balakirev and his circle of followers). Not long after Berlioz and Glinka had met, General Lvov, who had himself been favourably mentioned in the same article, wrote to Berlioz (cf. CG no. 986): this was the start of a friendship between the two men which lasted for over twenty years till nearly the end of their active careers. With encouragement from these new Russian friends, Berlioz expected St Petersburg to be his next destination in the winter of 1845-6 (CG nos. 962, 985, 986; cf. the letter of his uncle Marmion dated 25 April). With a forthcoming trip in mind he dedicated in May-June 1845 the first edition of the Symphonie fantastique to the emperor Nicholas I of Russia (cf. CG no. 1094), who the following year sent him a diamond-incrusted ring, no doubt in appreciation (CG no. 1034). But the planned trip to Russia was temporarily put aside as a result of the visit Berlioz made to the Beethoven celebrations in Bonn in August 1845; apparently there was only one representative from St Petersburg (the editor of the paper l’Abeille du Nord), and in his report Berlioz noted the absence of Glinka among other composers (he was now on an extended visit to Spain). But a group of admirers from Vienna persuaded Berlioz to embark on another trip to Germany and central Europe, with Vienna as his main destination (CG no. 992). On his return in May 1846 Berlioz was occupied with the completion and performance of his new work, the Damnation of Faust, but the comparative failure of the work at its first performances in Paris in December and the financial ruin this meant for Berlioz prompted him to return to his original plan of travelling to Russia, partly to recoup his fortunes but partly also to vindicate the new work. All the indications were that he would be well received. The decision was taken apparently before the end of the year (cf. CG no. 1085bis [vol. VIII]), and early in the new year Berlioz was actively preparing his trip; the composer’s correspondence sheds light on his hopes and the preparations he made (CG nos. 1089, 1092, 1094, 1095, 1096), which included getting a German translation of Faust for use in performances in Russia (CG nos. 1089bis [vol. VIII], 1090, 1092, 1093; the translation turned out to be inadequate and had to be done again on his arrival, cf. CG no. 1098; Memoirs chapter 55). He departed by train on 14 February, and stopped on the way in Berlin where the King of Prussia provided him with a valuable letter of introduction to his sister the Tsarina (Memoirs ch. 55; CG no. 1100). The two-week trip to Russia through heavy snow was the most arduous that Berlioz had experienced in his many travels. The first part, by railway with stops in Brussels and Berlin, was relatively straightforward, but after Berlin it was back to travel by stage-coach, and for the last four days in a covered sledge travelling through frozen wastes. Berlioz’s extant letters provide very little information on the journey itself, but a detailed narrative was given by him years later (first published in 1855-6, then incorporated in the posthumous Memoirs); the ordeal of the last part of the journey reminded him of the fate of Napoleon’s army (chapter 55). But once he had arrived the reception was warm and the trip lived up to expectation. Berlioz stayed nearly three months in all; most of the time was spent in St Petersburg, except for three weeks in Moscow in April. The composer’s correspondence provides extensive evidence of his experiences there (see esp. CG nos. 1100, 1101, 1102, 1103, 1106); the letters are supplemented by the account in the Memoirs (chapters 55 and 56), as well as by the detailed chapter on Berlioz and Russia published by Octave Fouque in 1882 in which he cites extensively the contemporary Russian press. It was the need for money that had driven Berlioz to Russia, and from this point of view the trip was highly successful: he may not have earned the astronomical sums Balzac had optimistically predicted (Memoirs, chapter 55; cf. CG nos. 1096, 1334), but success in Russia was indeed financially more profitable than anything Berlioz had ever experienced elsewhere (cf. CG no. 1114), and he never forgot that it was Russia that had saved him from bankruptcy (cf. Memoirs, chapter 59 [end], dated 18 October 1854). The success of the Damnation of Faust (or at least the first two parts, which alone were performed) vindicated the work after its unfortunate start in Paris, and the two performances of the complete Romeo and Juliet on May 5 and 12 were remembered by Berlioz as one of the high points of his career (Memoirs, chapter 56). Audiences were enthusiastic, the press generally very complimentary, and socially Berlioz was received as a celebrity who was showered with gifts by members of the aristocracy and the imperial family. During his stay he was able to meet some of the Russian musicians and music-lovers he had met in Paris or had started to cultivate before the trip (General Lvov, count Mikhail Wielhorsky and his brother, General Guedeonov, the writer Wilhelm von Lenz), though Glinka himself was away in Spain on an extended trip. Berlioz’s only contact with Glinka was through his music when he attended a performance of the opera A Life for the Tsar in Moscow. Heinrich Romberg, the conductor of the 1841 performance of the Requiem in St Petersburg, was very supportive. New friends were made, notably the German musician Berthold Damcke (1812-1875), and Princess Sayn-Wittgenstein, who coincidentally had recently become close to Liszt during a visit he made to Kiev in February 1847. He also met Prince Odoievsky, a devoted champion of his music, though this did not lead to a lasting personal relationship. But it is unlikely that Berlioz met at this time the Grand-Duchess Yelena Pavlovna who was to invite him to St Petersburg twenty years later (she is not mentioned in the Russian chapters of the Memoirs; cf. CG no. 3274). Another person of great importance for the future who is not mentioned by Berlioz, the young writer and critic Vladimir Stasov, he did certainly meet: Stasov himself recalled the occasion years later (Stasov, pp. 161-2). In 1847 Stasov was overwhelmed by Berlioz’s mastery as a conductor and orchestrator, but remained as yet undecided about his merits as a composer. Berlioz at this time took little notice of him, but Stasov was to become in subsequent years Berlioz’s most devoted advocate in Russia, and in the late 1850s he started to gather around himself a circle of young Russian composers (at first Balakirev then Cui and others) who regarded Berlioz as their idol. For the long-term impact of Berlioz on Russian music this was perhaps the most significant result of the visit of 1847, though he will not have been aware of this at the time. Another side of Berlioz’s stay that is not revealed by the Memoirs is the personal aspect, on which the composer’s correspondence sheds some light. Berlioz originally intended to travel alone to Russia without Marie Recio, as he did later in the year when he went to London, and to this end he took elaborate steps to prevent her from being aware of his plans (CG no. 1089). What then happened is not known, but it seems clear from allusions in later letters that Marie Recio was in fact with him in Russia (cf. CG nos. 1109, 1114, 1134bis, 1135). This raises further questions about another aspect of his personal life – a short-lived idyll with a Russian chorister during his stay in St Petersburg – that is known only from an exchange of letters with the cellist Tajan-Rogé who had played under Berlioz at the time (CG nos. 1135, 1147). The idyll was not mentioned by Berlioz to anyone else, not even his family and closest friends (cf. CG nos. 1106, 1108). When Berlioz left St Petersburg in May 1847, stopping in Riga where he gave a concert before proceeding to Berlin for a complete performance of the Damnation of Faust, he had every expectation of returning in the not too distant future. In the event it was to be a full twenty years before he came back, though this time in very different circumstances. During Berlioz’s stay in St Petersburg there had been talk of appointing him to an influential musical position in Russia on a long-term basis (CG no. 1106). His newly-acquired friend General Lvov interceded at court on his behalf later in 1847 (CG no. 1134bis), but Berlioz wisely did not raise his hopes too high: in the imperial autocracy of Tsarist Russia everything depended on the emperor, and music for him was not the highest priority (CG nos. 1170, 1443). In the end nothing came of the idea. It was disappointing also that of all the personalities Berlioz had met during his stay in St Petersburg, only General Lvov remained in continuous contact with him, whereas Count Wielhorsky, to whom he wrote twice after his departure (CG nos. 1113, 1240), did not apparently respond, and Berlioz was reluctant to insist (CG no. 1170). In October 1853 Berlioz remarked that he had not had any news from Moscow since his visit in 1847 (CG no. 1631). One of the deepest musical impressions Berlioz had experienced during his trip was hearing for himself the celebrated imperial chapel choir of St Petersburg, of which Lvov had been for some time the director, and the impact of this was lasting. In 1850 and 1851 Berlioz was prompted to perform two choral pieces by Bortniansky, a former director of the choir, at concerts in Paris, and at the same time he gave publicity in his feuilletons in the Journal des Débats to the imperial choir, to the music of Bortniansky and to the work of Lvov himself as its director (19 October 1850; 17 January and 13 December 1851). The substance of these articles was reproduced by Berlioz in the Soirées de l’orchestre in 1852 and thus given wider circulation in the musical world of Europe. A more difficult question is that of the possible connection between the monumental Te Deum and the trip to Russia. The first mention of the composition of the work occurs in a letter to Lvov in February 1849 (CG no. 1246), but neither this reference nor any of the others in the composer’s correspondence reveal what had prompted Berlioz to undertake writing this particular work at this particular time (see for example CG no. 1552, the most detailed description of the work). Berlioz’s other writings, including his Memoirs, do not shed any further light. In this respect the Te Deum is unusual as compared with most of Berlioz’s major works, where the source of the original inspiration is not normally in doubt. Unlike other large-scale works that required large forces (the Requiem, the Symphonie funèbre et triomphale), there was no state commission involved, and the prospects for performance in Paris were not favourable after the upheaval caused by the 1848 revolution: the Te Deum had to wait till April 1855 to receive its first and only complete performance in Berlioz’s lifetime (the Requiem, by contrast, received four complete performances in Paris). It may be that hearing the imperial chapel choir turned Berlioz’s attention to the writing of choral music, though that choir was an élite body of only 80 singers without women’s voices, and not the large mixed double chorus of 200 required for the Te Deum (not to mention the 3rd chorus of children Berlioz added later). There is also a hint of a Russian connection in the question that Stasov put to Berlioz shortly before his departure from St Petersburg in May 1847, concerning the use of the organ in relation to the orchestra: the response that Berlioz gave (CG no. 1111), that in religious music the organ should best be made to dialogue with the orchestra and not play simultaneously with it, describes precisely what Berlioz went on to do in the Te Deum. Be that as it may, the work was later taken to heart by Berlioz’s Russian admirers: they studied the published score closely and thought of it as Berlioz’s greatest work, and were rewarded in 1862 with the gift by Berlioz of the original manuscript to the Imperial Public Library of St Petersburg, where it has remained since (CG nos. 2650, 2676, 2676bis; cf. 3375). As with his visits to Germany of 1842-3 and 1845-6, Berlioz had every intention of writing an account of his Russian journey and publishing it in the Paris press in the hope of influencing public opinion in his favour; in the event this took much longer to complete than expected. When he arrived in London in November 1847 Berlioz had yet to complete the writing of the letters on his visit to Prague before he could move on to the trip to Russia (CG no. 1135). The letters on Prague appeared in July and August of 1848 in the Revue et gazette musicale, and not in the Journal des Débats as with all the earlier ones (cf. CG no. 1186). By November 1848 Berlioz had not yet written the projected Letters on Russia: Armand Bertin, the editor of the Journal des Débats, was reluctant to accept them for publication, but Berlioz on his side preferred publication in the Débats to the other journal (CG no. 1240). As a result the writing of the Russian trip was delayed, and it was not till the autumn of 1853 that Berlioz was working on this, by which time the story was losing some of its topical interest and Berlioz seemingly did not envisage any immediate publication (CG no. 1631). By this date some of Berlioz’s reflections on his Russian experiences had appeared in journals in previous years and in his Soirées de l’orchestre in 1852. In 1855 a publisher suggested to Berlioz that the Russian chapters might be turned into a book, but Berlioz was dubious (CG no. 1939), and they were eventually issued in 5 instalments between November 1855 and April 1856 in an unexpected place, the fashionable monthly journal Magasin des Demoiselles. Accordingly only a brief summary of the Russian trip, with a reference to that publication, was included in the serialisation of excerpts of his Memoirs which appeared in Le Monde Illustré in 1858-9 (3 September 1859, p. 154). The Russian chapters only acquired book form in the posthumously published Memoirs as chapters 55, 56 and the Suite du voyage en Russie. For some years after the trip of 1847 Berlioz continued to hope for a return visit to Russia, as a letter of September 1850 shows (CG no. 1340). He did receive an invitation to St Petersburg a year later, but the terms offered did not seem to him attractive enough (CG no. 1437). In the meantime he kept his links with Russia alive, as shown by his correspondence with General Lvov and his articles on Russian music. In 1853 he toyed with the idea of a production of Benvenuto Cellini in Russia and a concert visit to accompany it (CG no. 1620); he talked optimistically of ‘returning to Russia’ to ‘make a little haul of roubles’ (CG no. 1631) though nothing came of all this. Gradually the Russian option seemed to recede, and Berlioz in the meantime was busy with activities in London and a series of visits to Germany. The hostility to Russia generated in western Europe by the Crimean War of 1853-6 did not help either. Berlioz’s correspondence with Russians seems to slow down after 1853 and two brief letters to correspondents in Russia in September 1855 do not make any mention of any plans to return there (CG nos. 2021, 2022). From 1856 onwards Berlioz committed himself to composing Les Troyens, and then trying to have the work performed, and this curtailed the possibility of travels abroad. But Russia remained there in the background, and is referred to from time to time in Berlioz’s feuilletons (Journal des Débats 2 October 1855; 15 November 1856; 3 July 1857; 6 November 1862; 13 January and 26 January 1863). When the Te Deum was published in 1855 Berlioz sought subscribers from among the princely families of Europe, including Russia, and with some success: in addition to Prince Youssoupov to whom he had written (cf. CG no. 2212), the Empress of Russia and the Grand-Duchess were among the subscribers. In the early 1860s the Russian musical scene was stirring. New institutions were being developed: the Russian Musical Society was founded in 1859, and the St Petersburg Conservatoire in 1862. No less important was the rise of a group of young Russian musicians under the guidance of Stasov, who all shared a common enthusiasm for the music of Berlioz. Berlioz had the first indications of this when in 1862 he received the visit in Paris of Stasov and donated the manuscript score of the Te Deum to the Imperial Public Library of St Petersburg (see above). Late in 1863 he received congratulations from General Lvov on the first performances of Les Troyens in Paris, an indication of the growing Russian interest in the work (CG no. 2808). In 1864 he received an approach, it is not known from whom, to come and conduct in St Petersburg the following spring, the first known approach from Russia for many years; but at this stage Berlioz was not yet convinced (CG nos. 2920, 2930). The following two years he received reports of successful performances of his music in St Petersburg and Moscow (CG nos. 3027, 3151). In the summer of 1867 he had another visit from a Russian, the composer Cui, who sought his permission to copy excerpts from the unpublished full score of Les Troyens; Berlioz hesitated but then refused for copyright reasons (CG no. 3268). Then the following September he was approached by no less a figure than the Grand-Duchess of Russia, who was in Paris at the time: Berlioz was presented with an offer to conduct a series of six concerts in St Petersburg the following winter, and the terms were the most generous he had received in all his travels. After consultation with his friends in Paris Berlioz accepted (CG no. 3274). Berlioz’s decision to set out again for Russia, twenty years after his first visit, the practical preparations needed for his trip, and his shifting moods as he contemplated the difficulties that lay ahead, are all documented in abundant detail in his correspondence. The evidence stretches over a period of several weeks, from the moment of his acceptance on 18 September to the day of his departure on 12 November (CG nos. 3274, 3279, 3282, 3283, 3286, 3287, 3289, 3290, 3293, 3294, 3299, 3302, 3303, 3304). The reasons given by Berlioz for accepting what could only be a very stressful commitment given his frail condition, were partly the need for money (CG nos. 3286, 3290, 3294), and partly the advice of his friends that it would be beneficial for him to be involved in musical activity once again (CG nos. 3274, 3283, 3294). His relatives, on the other hand, voiced alarm at the strain the trip would place on him (CG nos. 3279, 3299). Since 1863 Berlioz had only made two musical trips abroad, to Vienna in December 1866 and Cologne in February 1867, and in June 1867 he suffered the terrible blow of the unexpected death of his son Louis (CG no. 3290). Whatever the stresses of the trip, it certainly galvanised Berlioz’s energies: the abundance of letters that survive for the weeks before his departure and for the three months of his visit are an indication of that. Thus twenty years after his first visit Berlioz returned to St Petersburg, but in very changed circumstances. The conditions of travel had improved considerably: there was now a railway line all the way from Berlin to St Petersburg, with comfortable and heated carriages (CG no. 3279). But Berlioz himself was in very poor health, and it is astonishing that he was able to undertake the journey at all and make a success of it: the six concerts in St Petersburg were reckoned to be a landmark in the musical life of the capital (CG nos. 3364, 3374) and the two concerts he was eventually persuaded to give in Moscow surpassed by far the single concert of twenty years earlier (CG no. 3326). The standards of musical performance in Russia had greatly improved since 1847, as they had elsewhere in western Europe, and as Berlioz had already been able to see in Germany in the 1850s. But Berlioz’s frail physical condition severely restricted the range of his activities and social life, and he needed constant rest between and after rehearsals (CG nos. 3302, 3310, 3314, 3330, 3331, 3332). He was galvanised by the music-making and gratified by the reception of the public (CG no. 3310, 3314, 3315), but he was not prepared to commit himself to any more concerts in St Petersburg beyond the six he had agreed to conduct (CG nos. 3319, 3331, 3334). Unlike the trip of 1847 Berlioz was no longer interested in publicising his successes in the Paris press, and the numerous reports he sent in his letters were purely for the benefit of his friends and relatives. And though constantly pressed to do so Berlioz would not contemplate going back on his decision not to compose any more (Stasov, p. 166; cf. CG nos. 3346, 3374, 3375). Of his old acquaintances of 1847 several were no more (CG nos. 3274, 3303), and of those who were still alive he definitely met General Lvov (CG nos. 3329bis and 3329ter in NL pp. 663, 664) and Wilhelm von Lenz (CG no. 3340), though he presumably saw Prince Odoievsky in Moscow. The Grand-Duchess, herself highly cultured and literate, was the most lavish and congenial host he could possibly have wished. But the new element which gave to the visit of 1867-8 its special character was the recent emergence of a band of young Russian musicians wholly dedicated to Berlioz and thoroughly familiar with his music: the nearest analogy in Berlioz’s previous career was the band of ‘Neo-Weimarians’ who had greeted him in Weimar in 1855 (cf. CG nos. 1899 and 1903), though Berlioz subsequently declined to take sides in their crusade (CG no. 2274). Stasov, whom he had met in 1847 and seen again in 1862, was now on his way to becoming close to him, and Berlioz also met the young Russian composers of Stasov’s circle. These will have been among the ‘friends who come to see me, who have for my music a passion which looks very much like fanaticism’, as Berlioz wrote in one letter (CG no. 3332). But between these young Russian musicians there was a hierarchy in their degree of closeness to Berlioz: the names of Stasov, Balakirev and Cui appear in Berlioz’s correspondence, but not those of Borodin, Mussorgsky or Rimsky-Korsakov, and to their disappointment the latter three were apparently not invited to the dinner for Russian musicians offered by Berlioz at the Mikhailovski palace on 24 November. How Berlioz’s relations with all these might have evolved had he lived is impossible to say. During his stay in St Petersburg it is unlikely that he heard any of their music: the only Russian music he heard was that of Glinka (part of a performance of A Life for the Tsar on 5 February 1868: CG no. 3335), and an excerpt from that opera, together with a hymn by Lvov, was the only Russian music he conducted in just one of his concerts (Moscow, 8 January 1868). Liszt, by contrast, was to live long enough to get to know and appreciate the music of the young generation of Russian composers (Stasov, pp. 179-94). There was a striking difference between the programmes of Berlioz’s concerts in 1847 and those of 1867-8. In 1847 Berlioz conducted exclusively his own music, including two parts of his latest score, the Damnation of Faust, which had just received its first performances in Paris a few months earlier and was as yet unpublished. In 1867-8, by contrast, the programmes drawn up initially by Berlioz for his six concerts in St Petersburg excluded his own music from the first five concerts, apart from two excerpts; only the last concert was to be devoted to his music, but this was to comprise works that by now were all published and well-known, not his most recent compositions (CG no. 3289). The question arises how far Berlioz had been granted discretion by the Grand-Duchess to compose his own programmes at will, and the evidence suggests that the overall framework (five concerts of classical music, one of music by Berlioz) had been suggested by the Grand-Duchess, with Berlioz left free to arrange the details. That is the implication of the letter to Kologrivov, secretary of the Russian Musical Society, in which in reply to the objection that he was not including enough of his own music, Berlioz stated that he ‘had merely followed the intentions of the Grand-Duchess’ and that the programmes could not be changed (CG no. 3293). It appears therefore that the Grand-Duchess, who could set the terms as she was paying herself for all the expenses, wanted to give the concerts a primarily classical flavour, with only one concert devoted to Berlioz. Berlioz was quite happy with the suggestion: performing Beethoven and especially introducing Gluck to Russian audiences was for him one of the highlights of his tour, though it will have been a disappointment that because of the weakness of the chorus he was not able to put on Beethoven’s Choral symphony and repeat what he had done in London in 1852 (CG nos. 3310, 3314, 3315, 3318, 3319, 3332). One other implication is that the Grand-Duchess did not want to have any Russian music included: it will be recalled that, according to Berlioz’s account of his meeting with her, the Grand-Duchess ‘wants to show to the Russian faction, which at the moment tends to dominate St Petersburg’s small musical world, that it is nothing but vain and ridiculous’ (CG no. 3274). In the event, once in St Petersburg, Berlioz was pressed by Kologrivov and Balakirev to include in the programmes far more of his own music than originally planned: only the 5th concert did not have anything by Berlioz. The reaction of the Grand-Duchess to this does not seem to be known, but in the circumstances she was hardly likely to raise any objections, if she had any. It should be added that Berlioz’s choice of his own music was restricted to works already published, and several of these will probably have been known to the Russian musical public. The only piece from a recent composition that was heard in Russia was the nocturnal duet from Béatrice et Bénédict, and that was only in an evening performance in the salon of the Grand-Duchess with piano accompaniment, not in the fifth concert with orchestral accompaniment as originally planned (CG no. 3318, contrast 3289). This raises the question of Berlioz’s opera Les Troyens. The work excited special interest among Russian musicians even before it was first performed, as though they sensed its special significance in Berlioz’s output: when Stasov thanked Berlioz for the manuscript of the Te Deum in 1862, he hinted that Berlioz should seriously consider depositing one day the manuscript of Les Troyens at the Library in St Petersburg (CG no. 2676). The following year General Lvov congratulated Berlioz on the first performances of the work (CG no. 2808). In the summer of 1867, Cui paid a visit to Paris and tried to persuade Berlioz to allow him to make a copy of excerpts from the (as yet unpublished) full score of the work, though Berlioz had to refuse for copyright reasons (CG no. 3268). But the Russians showed a fascination for the work that was unmatched anywhere in Europe at the time, and would not take no for an answer. On arriving in St Petersburg Berlioz was reproached by them for not having brought any of the music of Les Troyens with him, and was pressed to ask for a copy of the complete full score to be sent to St Petersburg (CG no. 3308). On its arrival a contract was drawn up with the agreement of the publisher Choudens, who owned the copyright, for a copy to be made with a view to future performances of the work in Russia, though Berlioz would not agree to perform any excerpts during his stay in St Petersburg (CG nos. 3313 [no. 3316bis in NL p. 661], 3332). Fouque cites the text of the contract, drawn up between Berlioz himself and Kologrivov on behalf of the Russian Musical Society, and also the receipt that Berlioz signed. The event was publicised by Cui in the St Petersburg Gazette. In the event nothing came of this. After his return to Paris Berlioz enquired several times about the copy of Les Troyens which had originally been sent from Paris and wanted to have returned (CG nos. 3346, 3356, 3359). It is not known for certain whether the copy was sent back, though as there is no further mention of the matter in the remaining correspondence between Berlioz and the Russians, the presumption must be that it was returned while the Russians kept the copy that they had made (CG nos. 3373, 3374, 3375). ‘If it kills me at least I will know that it was worth it’, wrote Berlioz to Damcke before he left for Russia, in full knowledge of what lay ahead (CG no. 3275). The trip to Russia both galvanised and exhausted Berlioz; it marked the end his career as an active musician, and he knew it. He had no intention of conducting again on returning to Paris, but looked forward to beating the last bar of Harold in Italy, to going back to France and go and rest in the sun in his beloved Nice (CG nos. 3319, 3327, 3330, 3334). The sixth concert in St Petersburg was thus the last time he ever conducted. Stasov recalls that he donated his baton to Balakirev, and gave to the Russian Musical Society a special pair of little cymbals (cymbales antiques): these he had had made in Paris for use in the Queen Mab scherzo, and had taken around on his concert tours over many years (Stasov, p. 168). The Russian tour exhausted him. Two weeks after his return, and on the day he was leaving for Monaco and Nice, he wrote to Stasov in answer to a request made before he left Russia: the St Petersburg Conservatoire wanted to acquire a bronze bust of him (CG no. 3346; a copy was eventually made). But the trip to the south of France that he had long been looking forward to turned to tragedy: he fell twice in the rocks and suffered a stroke, and from this he was never able to recover fully. His preserved correspondence for the rest of the year 1868 dwindles sharply. Writing letters was now too much of an effort: it took him two days to compose one to the Grand-Duchess in April telling him of his accident (CG no. 3354, cf. 3363), and he is last known to have written to her in early July (CG no. 3368). Between 25 March and 14 June he did not write to Estelle Fornier (cf. CG nos. 3348, 3362, 3363), and had difficulty completing his last known letter to her in late July (CG no. 3369). But it is perhaps appropriate that in his correspondence the final letters of substance dealing with musical matters should have been exchanged with Russian musicians (CG nos. 3373, 3374, 3375). In these last two letters Balakirev and Stasov told him of the effect of his visit, their plans for the future, and urged Berlioz to resume composition: but almost certainly Berlioz did not reply, and a few months later he was dead. Note: the chronology of Berlioz’s stays in Russia is complicated by the fact that whereas western Europe followed the Gregorian calendar (first introduced in 1582), Russia continued until 1918 to use the Julian, which was 12 days behind. To take this into account double dates have been given below for the periods Berlioz spent in Russia; the first is the Gregorian date, and the second (in brackets) the Julian. Letters that are relevant to Berlioz’s relations to Russia but are cited on other pages of this site are listed at the end of each year with the links to them. All translations are © Michel Austin and Monir Tayeb. […] You have probably seen in the papers that the work of mine which arouses the greatest interest (the Requiem) was recently performed in St Petersburg with considerable success. I received detailed information these last few days from a musician who has arrived from Russia. To the singers of the Imperial Chapel (the finest choristers in the world) were added the choruses of the two opera houses and those of a regiment of the guard (they are first rate), plus all the orchestras in St Petersburg. Heinrich Romberg did not flinch from the huge expense of such an enterprise and even made a profit of 5,000 francs. Here in Paris I would not cover a third of the expenses. It seems that the Lacrimosa and the Dies Irae made a shattering impact on the audience, and that if I were to go to Russia at this time I would be well received. […] The emperor of Russia and the prince of Hechingen have just sent me each a very fine present – a diamond ring and a snuffbox. […] I am due to write another article soon in which I will announce your splendid trip to Berlin and Kœnigsberg and your arrival in St Petersburg [Journal des Débats 5 February 1847, p. 1; CM VI p. 279]; it is just a matter of finding the time to write the article and a free day to have it printed. The debates in the two chambers take up all the time, and the curse of politics, may God confound it, is inflicting on us, as on everything concerning the arts, considerable harm. At any rate this can only be a temporary delay. Now let me inform you that we are going to meet in St Petersburg; like you I am undertaking this grand trip so often planned and so often put off. I have written to Count Wielhorsky, to General Lvov and to M. Guedeonov to warn them of my arrival and to obtain three days for my concerts in Lent. When you have settled your own affairs be kind enough to cast a glance at mine and have a word with these gentlemen on the subject. You could for example write me a few lines either in Berlin at the Russia Hotel, or poste restante at Kœnigsberg, to let me know how matters stand with me. Sir: in one of your interesting feuilletons you had the kind idea of devoting a few lines to the imperial chapel choir of St Petersburg, the sacred arch, as it were, of spiritual music, and to the memory of Bortniansky [Journal des Débats, 13 December 1851; reproduced in Soirées de l’orchestre, 21st evening]. He is the great master who succeeded in raising this chapel choir to the eminent degree of perfection which earned your admiration. These words from your pen, a testimony to your high musical intelligence which is duly appreciated in the artistic world, have been read by us in Russia with special interest, and have earned you a great deal of goodwill. In your article you say that you do not know the precise period at which Bortniansky lived, and that you believe that the imperial chapel choir was for a few years under his direction. Allow me, Sir, to come to your help. With this in mind I have the honour of sending to you a short biographical note on this remarkable composer, which I have translated into French following the Dictionary of Russian Conversation. I enclose with this biography a very faithful portrait of Bortniansky. […] Tamberlick and Tagliafico, who have an annual contract for the season in Russia, were telling me recently of their wish to have Benvenuto staged at the Great Theatre in St Petersburg. They are both excellent in the roles of Cellini and Fieramosca. This could perhaps be feasible if the Grand-Duchess would write to the Emperor about it. If the Emperor was sympathetic to the idea, I would then go to Russia and with two concerts I would be virtually certain of making a useful trip. If the business in England comes off I will invite you all to a great dinner in Vienne or Grenoble or La Côte within the next two years. And we will have a good laugh. […] The day after I had a visit from the secretary of Grand-Duchess Yelena of Russia who was coming to put to me on behalf of the princess some musical proposals. I asked for two days before giving my reply, but all the friends I have seen, Hiller, Heller, Bressant and others, have all expressed the view that I ought to accept, that it would do me more good than harm, etc. and so in the end I agreed. Last night I went to see the princess who had asked to see me. She is one of the most charming elderly ladies I have ever met, a cultured musician who speaks our language with rare perfection. Consequently I will depart for St Petersburg on 15 November next to conduct six concerts at the Conservatoire, one of which will be composed exclusively of my music. I will be staying at Mikhailovski Palace with the Grand-Duchess, who in addition will pay my travel expenses, provide me with one of her coaches and guarantee me the sum of 15,000 francs. I signed the contract yesterday. It will be stressful, but the princess (she is not Russian, but German, the sister-in-law of Emperor Nicholas and aunt of Emperor Alexander) wants to show to the Russian faction, which at the moment tends to dominate St Petersburg’s small musical world, that it is nothing but vain and ridiculous. She therefore thanked me warmly for accepting her proposal. She is leaving this evening for Switzerland, but not before sending a cable to St Petersburg to announce my acceptance. […] Your comments on my Russian trip are very true, all too true; but I have signed, and there is nothing more I can do than to leave. You should only know that in St Petersburg one does not notice the cold, and that after Berlin the railway carriages are heated rooms, with beds and everything required. What I dread is the fatigue and musical impossibilities. But perhaps all this will disappear. I have had another proposal from Steinway, the wealthy piano manufacturer from New York; he came the day before yesterday, and before leaving asked me to come at least next year to America, and do you know what he offered me? About time, now that I am good for nothing! […] I was telling you about the coup d’état I have just carried out: the Grand-Duchess Yelena of Russia was here a few days ago, and she so badgered me with proposals that after two days of reflexion and following the advice of all my friends I finally accepted. This involves going to St Petersburg in November to conduct six concerts at the Conservatoire, five of them devoted to the great masters and one to be made up exclusively of my works. This will detain me in Russia until February. The Grand-Duchess will give me lodgings at the Mikhailovski Palace, provide me with one of her coaches, pay for my return journey, and guarantee 15,000 francs. I will be exhausted but all the same I will make the effort. She is a woman of artistic tastes (she is German and not Russian), understands music and has considerable influence on the Russian musical world. […] Since this dreadful blow [the death of his son Louis] I am more tormented than ever by my old ailments, and I spend almost all my time in bed, I do not take interest in anything and I refuse almost every musical activity that comes my way. […] I thank you for your concern, but I have to make this trip and cannot do without it. Everything is in hand, music is being copied and rehearsals are in progress in St Petersburg awaiting my arrival. Two musicians of my acquaintance [cf. CG no. 3304] will come to pick me up in Berlin on the 14th of this month, and from there we will journey together. I have bought here very cheap some excellent fur coats which I found by chance, and all I await now is the money promised before my departure. I will be leaving Paris on the 12th of this month and will probably stay in St Petersburg until 15 February. […] I am full of enthusiasm for my trip to Russia in the afternoon, but it is something different in the morning when I am in pain. When I get involved in rehearsals I will have more control over my pain. The Grand-Duchess let me know that after the concerts of the Conservatoire I am going to be asked for another two; I do not know whether I will have the strength to do so much. But Her Highness is a model of kindness; she has already had 6,000 francs paid to me, and it is only tomorrow that I am leaving. You will do what you can and I leave it to you to make any agreement you think suitable. Up till now I have not been able to find a Russian director with sufficient conviction to stage your masterpiece (Les Troyens) and I do not want my own interests to stand in the way of the success of this work. The Berlioz in Russia pages were created on 7 December 2003; revised and enlarged on 15 June 2010 and 1 February 2018. © (unless otherwise stated) Monir Tayeb and Michel Austin for all the photos, engravings and information on Berlioz in Russia pages.